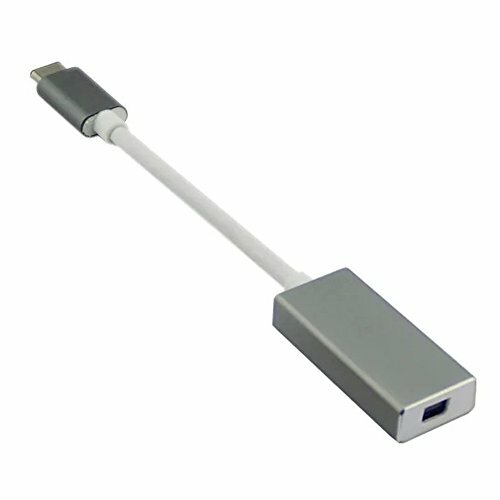 MDS USB Type C to Mini DisplayPort Adapter Connects a computer host with a USB Type-C port to a display or projector with Mini DisplayPort input. MDS USB Type C to Mini DisplayPort Adapter Supporting 4K UHD resolution. Some of devices may not compatible with this adapter( It’s a new type c product now so we may not sure when customer use it to a device that we did not test before) , We suggest Apple Macbook and Dell PC and Alienware PC. The USB C to Mini DisplayPort adapter is compatible with Apple LED Cinema Display and others with mini DisplayPort or DisplayPort’s display but imcompatible with Thunderbolt interface’s monitor. The USB C to Mini DP adapter just can be used for mini DisplayPort to DisplayPort cable or mini DisplayPort to mini DisplayPort cable to connecting the monitor. It can not be used for mini DisplayPort to HDMI cable,mini DisplayPort to DVI cable or mini DisplayPort to VGA cable to connecting the monitor. The Best Meeting Assistant for MacBook Pro 2016 — MDS USB 3.1 type c to Mini DisplayPort Adapter connecting your computer PC to a projector to mirror or extend your display desktop when you are in a conference room or a classroom for show a presentation. Easy to Use — Plug and Play installation on any Windows, Mac, or Linux host which supports HDMI Alternate Mode (Alt Mode) video output functionality. Aluminum Housing of this USB-C to Mini DisplayPort adapter matches with your New MacBook Pro 2016 elegantly, With slim and portable design, you can easily slip it into your bags.